Authentic Savannah Grey bricks are among the most sought-after building materials in the South, but only by those who can afford to pay upwards of $4 per individual piece as the nearly 200-year-old hand-formed bricks become increasingly rare. Savannah Greys are as much a part of the fabric of early Savannah, Georgia as its cobblestones and ornamental iron. The unique, over-sized bricks date to the early 1800s, where they were hand-formed by slaves at the Hermitage, a plantation on the Savannah River west of the city on a site now owned by International Paper. The plantation, owned by Henry McAlpin, was situated on a rare type of grey-colored clay, making it less than ideal for growing crops but perfect for making bricks. The bricks were plentiful and cheap in those early days and were much in demand after a massive fire in 1820 destroyed huge sections of downtown. By the beginning of the Civil War, production of Savannah Greys had stopped, making them increasingly rare and valuable in the ensuing 150 years. Many were lost before the formation of the Historic Savannah Foundation in the mid-1950"s when buildings were often demolished with no thought to preservation. Today, examples of the surviving brick can be found in Savannah's Historic District and beyond. The old First African Baptist Church was rebuilt in 1855, using Savannah Greys made by congregation members at the Hermitage. Henry Ford, Founder of Ford Motor Company, bought the Hermitage plantation, reportedly for its Savannah Greys, which he later used to build his mansion on the banks of the Ogeechee River in what would become the Ford Plantation. 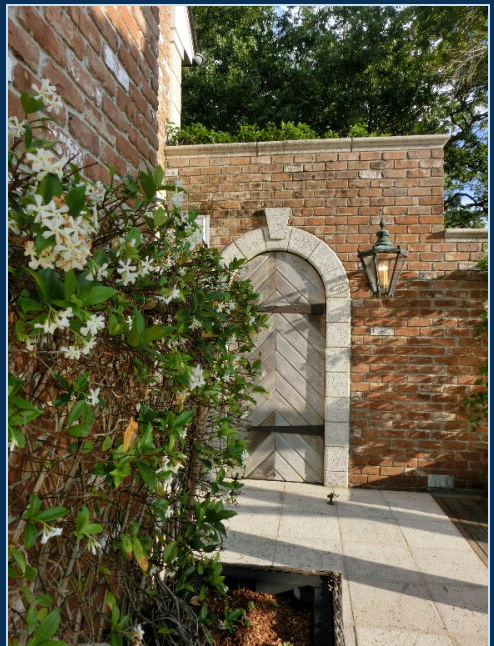 At the famed Sea Island resort, Dr. John Imhoff has used Savannah Grey's extensively in the construction of his 8,000 SF riverfront mansion that is currently being marketed for sale at $13,500,000. While the cost of Savannah Greys makes it prohibitive for most to use it in exterior home construction, the bricks are in wide demand from homeowners and builders who want to use them for interior accent walls, smaller outside projects and such. Page Aiken is a 7th generation native of St. Simons and Sea Island, a 30-year real estate professional with international and national sales experience ideally suited for Engel & Volkers sales. He represents both sellers and buyers of fine homes on St. Simons and Sea Island, Georgia.